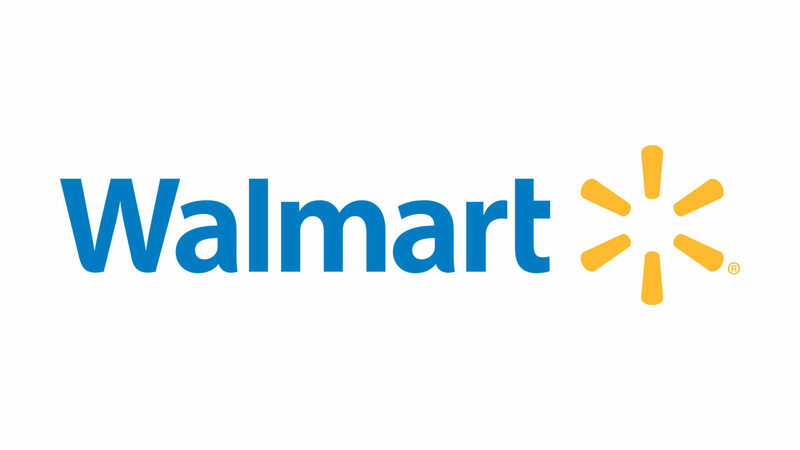 Authorities said they arrested a man Friday on suspicion of taking a cash register drawer from a Walmart in Florida and then trying to carjack two people at knifepoint. 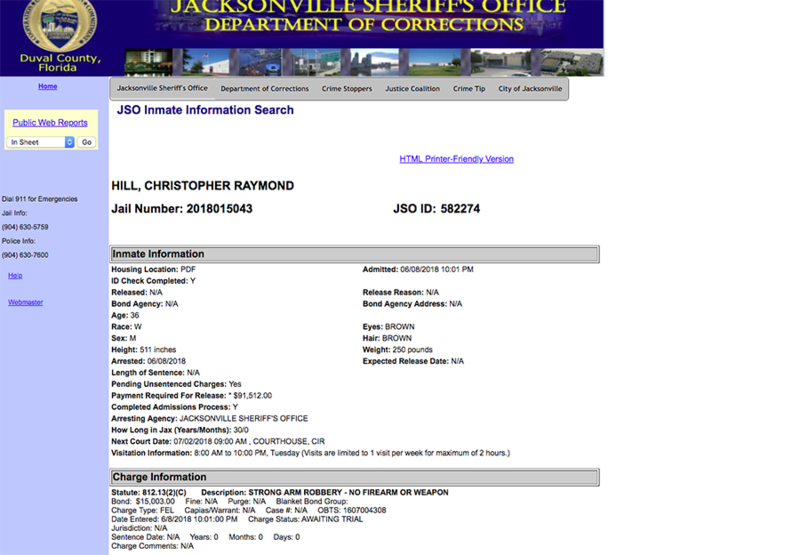 Christopher Raymond Hill, 36, was arrested on charges of strong arm robbery, carjacking with a firearm or deadly weapon, aggravated battery with a deadly weapon and trespassing, according to the Jacksonville Sheriff’s Office online inmate information search. Investigators said the incident began when Hill went into the Walmart at the River City Marketplace and asked if he could have change for a $20. A cashier told Hill he would have to buy something and he then bought a pack of cigarettes. Once the register was open, Hill reached over, grabbed the register and ran out of the store, according to a JSO arrest report. A witness saw Hill get into a silver Ford SUV, but it did not appear to start, so he got out and ran, according to authorities. Police said Hill approached a man who was sitting in the parking lot near Supercuts. Hill asked the man for a ride and the man refused, according to authorities. Hill put the cash register in the man’s truck bed and pulled out a knife, cutting the man on the hands and leg, the arrest report said. According to the report, the man was able to grab his pistol from his truck and pointed it at Hill, who then ran away toward Starbucks. Hill next ran to the car of a woman who was in line at the nearby Starbucks drive-through, officials said. She told police she rolled down her passenger’s side window to see what he wanted and that he opened her door and got into the car, officials said. The woman said Hill told her to drive because someone was chasing him, officials said. She told police she tried to push Hill out of the vehicle and that he would not get out. According to the police report, she was in fear for her life, so she got out of her car to get her Ruger pistol out of her trunk. Hill got out of the car and came toward her, officials said. She said she pointed her pistol at him and he ran away, according to officials. When police arrived, they found Hill had barricaded himself inside the bathroom at Supercuts, but he came out when officers ordered him to. As of Monday morning, Hill was still in the Duval County Jail, being held on a bond of $91,512. His next court date is set for July 2.